Finding a share house in Adelaide can sometimes be a challenge, particularly if you have your heart set on living in the most popular share house suburbs. The city’s share house market is as competitive as it’s ever been, with some rooms attracting interest from hundreds of potential renters every week. And they’re priced accordingly. But those who are prepared to widen their scope and look just outside some of the premier locations can find very similar amenity at a much more palatable price. Here are some of Adelaide’s best share suburbs you might not have considered. 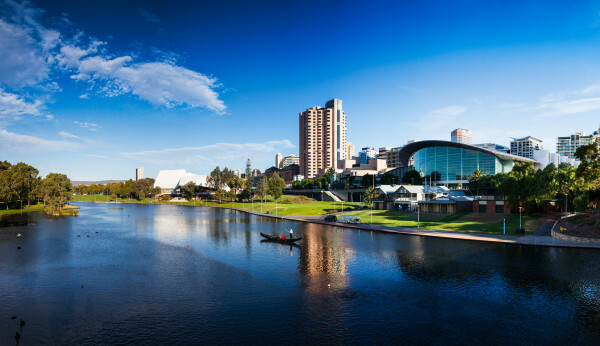 Outside of the city centre, Norwood is number one amongst Adelaide suburbs in terms of demand from share house seekers. Little more than a kilometre away, however, you’ll find Dulwich, where a room in a share house will cost an average of around $35 less each week than what you’ll pay in Norwood. And you won’t miss out on anything. You’ll still have stunning, heritage houses, tree-lined streets, great cafes, and you’re even closer to the CBD. Rooms in Dulwich don’t come up all that often, so if you find one, act quickly. Surrounded on all four sides by Adelaide’s stunning inner-city parks, North Adelaide enclave is a popular choice for house sharers. But large numbers of flatmates.com.au users who search for accommodation within North Adelaide also check out Prospect, which is only a few minutes to the north but where rooms are an average of almost $40 per week cheaper. You’ll also have far less competition from other renters, with almost triple the number of rooms available compared to people searching for them. We get it. Glenelg is to Adelaide what Bondi is to Sydney. For beachgoers, it’s simply the place to be. But just a couple of suburbs to the north, and equally accessible from the city, is Henley Beach, where you can still have sand between your toes every day but save more than $100 a month for a room in a share house. With seafood restaurants galore, a location centred around a brilliant grassed square, and an equally attractive beach, Henley might not have the name, but it certainly has the lifestyle appeal, with a bit of spare change in your pocket too. Want to live within walking distance of ever popular Unley, but without paying more than $180 a week? Malvern could be your bag. For a saving of more than $25 per week for a room, you’ll share the same strip of shops, cafes and supermarkets on Unley Rd, while being almost as close to the CBD. And while there are always more people searching for share houses in Unley than there are rooms available, in Malvern the opposite is true, with triple the number of properties to people searching. There are share house bargains galore to be had in Adelaide’s west, and none more so than in Richmond. Recently ranked by PwC as the city’s second most liveable suburb, with good transport, low crime and great amenity, in Richmond the price doesn’t match the privilege. In fact, in listings on Flatmates.com.au, rooms in Richmond are among the cheapest anywhere in Adelaide. And while neighbouring Mile End is among the most searched-for suburbs on flatmates.com.au, recent data shows Richmond has around one sixth of the competition among share house seekers, despite rooms going for just $155 per week, on average.